Announcement Bad Kitty Knits...each piece is handmade...funky, unique, and one-of-a-kind...this is handmade wearable art. 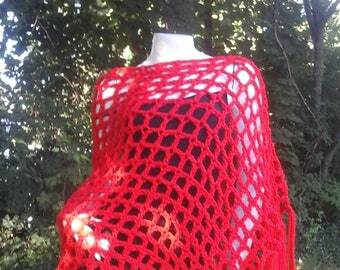 I love to create unique, modern fashions using the old techniques of knitting and crochet...you are unique and your fashion should be too! 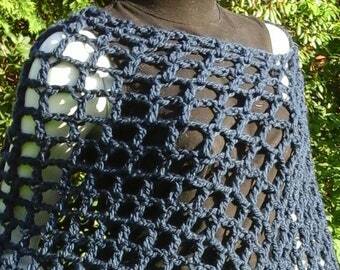 Many new items hot off the hooks and needles...I will be updating daily! Thanks for visiting!!! New designs listed daily, check back! Convo with questions, requests, ideas, and comments. Bad Kitty Knits...each piece is handmade...funky, unique, and one-of-a-kind...this is handmade wearable art. 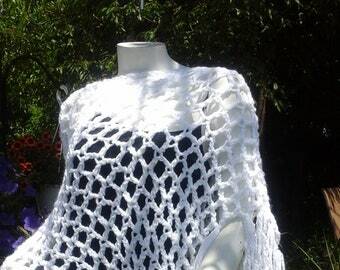 I love to create unique, modern fashions using the old techniques of knitting and crochet...you are unique and your fashion should be too! I ordered this poncho for a vacation. They actually went over the top by making the color I really wanted and it came very fast! 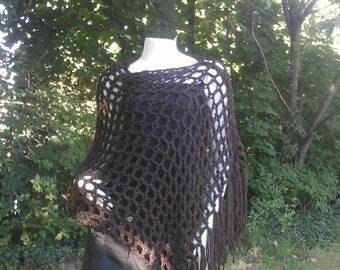 I give 5 stars for how easy it was working with bad kitten and how well the poncho was made, it’s beautiful! I’m very happy! I have been eyeing this neckpiece for YEARS and finally made the decision to buy one. It's gorgeous. 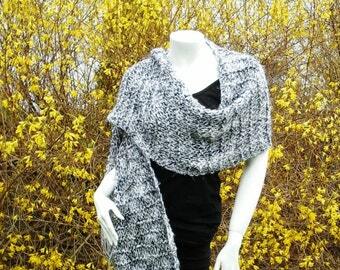 I can't wait 'til fall so I can wear it with a nice, black, fitted sweater or white blouse. It is so unique and stylish. I've already tried it on and it just 'goes' with me. Thank you SO much. And . . . THANK YOU for the little scrubby you included as a gift. That was such a nice touch. 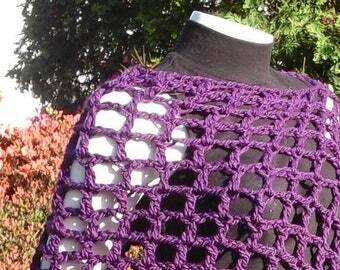 Returns/Exchanges: Please convo me with any measurement issues, yarn types, special questions and requests. Due to the nature that all items are hand-made and crafted, I do not accept returns. If you are absolutely not happy with your item, I want you to be happy; I accept returns within 7 days of receipt for exchange or store credit only. No returns on custom orders, so please be specific and convo. If you need to make other arrangements, again, convo me before purchase. Shipping Info: I am currently using USPS flat rate for delivery. I use prepaid flat rate envelopes and boxes when available. If you prefer faster service, additional insurance, or a different combined rate for multiple purchases, please convo me. I ship within 14 days on made to order items; of course special and custom orders take longer and every effort is made to ensure quick delivery. Some delays can be expected from October thru December, depending on current show schedules; I'll post any delays as needed at that time. Any items already made will ship within the week of the order. There is the possibility of delayed shipments to, from, and within Canada beginning on July 2 as a result of a service disruption caused by an ongoing labor dispute at Canada Post. The disruption will affect all shipments that are handled by Canada Post. This includes shipments into Canada from other national carriers like USPS and Royal Mail. We will not be able to ensure delivery on shipments sent out past the last ship dates suggested by Canada Post. Consult the Canada Post strike updates page to view the last day to ensure delivery for each shipping service. Additional Info: Crochet wire work is delicate in nature. At this time I work predominantly with colored copper and stainless steel; to insure its best results, do not wear while sleeping or bathing. Free repairs with any problems and shipping charges do apply on customer's end. Knit items labeled as evening wear and those which are lace-like in appearance are also delicate. Take care when wearing and watch catching on jewelry and outside sources...most pulls can be rectified with gentle stretching and pulling. I am available for assists, free repairs, shipping charges apply on customers' side.